There is a rich literary history in our local area, with many links to famous authors and poets. Here are just a few of them. Buried in St Mary Magdalene cemetery in New Milton is Elizabeth de Beauchamp Goudge who lived from 1900 to 1984. She was better known as Elizabeth Goudge who was a very talented and well respected author of both short stories and children’s stories. 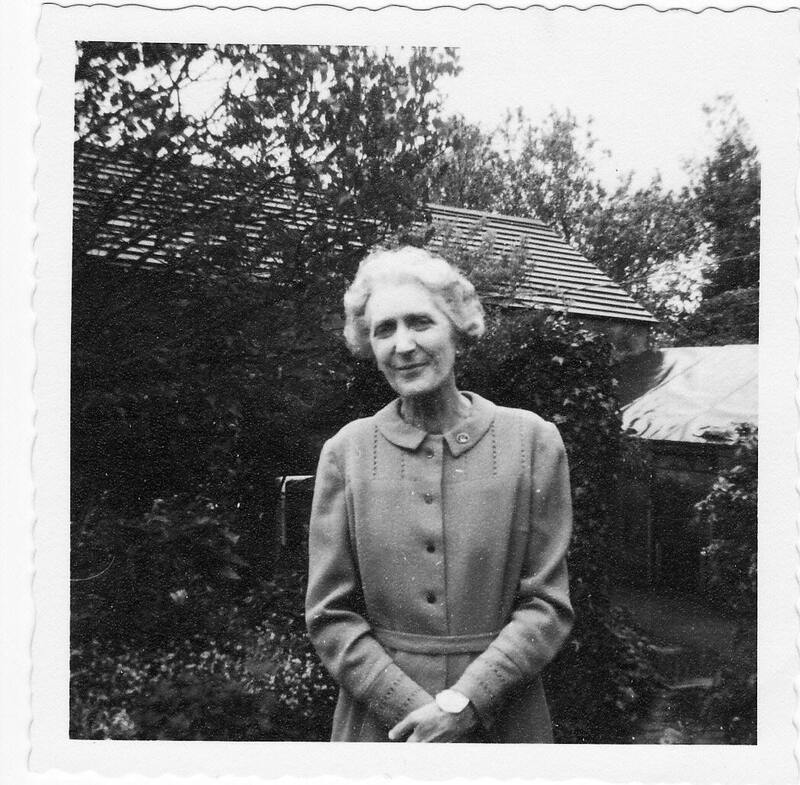 She published many novels from the 1930s through to the 1970s. Goudge was awarded the Carnegie Medal for literature in 1946 for the children’s story The Little White Horse. The author J.K. Rowling is reputed to have said that as a child this was her favourite novel. Rowling acknowledges that this tale had some influence in her creation of The Harry Potter stories. Goudge first got to know the New Forest when she was sent to a boarding school in the area. In later life Goudge and her parents lived partly in Barton on Sea and partly in Oxford where her father was Professor of Divinity. He died in Barton on Sea in 1939. Both Goudge and her mother are buried with him in St Mary Magdalene cemetery. Her autobiography The Joy of Snow gives some detail of her experiences living in this area. 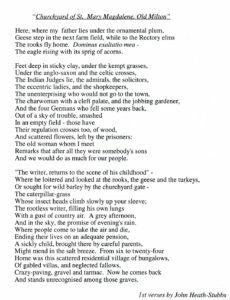 The 1847 novel Children of the New Forest was written by Captain Frederick Marryat. It is a children’s story set in the 1640s during the time of the civil war. It is about 4 children who are orphaned and are brought up in the forest in and around the area of Arnewood between New Milton and Sway. Marryat is believed to have gathered the material for this novel whilst staying with his brother George, who at that time lived in a country house called Chewton Glen, now well know as a five star hotel. Percy Bysshe Shelley was one of the great English Romantic poets. He lived from 1792 to 1822. His biography makes fascinating reading. His behaviour would be considered outrageous even by today’s standards. He is best known for his epic works Ode to the West Wind, To a Skylark and Queen Mab amongst many others. He drowned in boating accident in the Kingdom of Sardinia, now Italy. He was cremated and his ashes were buried in Rome. However in 1851 his wife, Mary Shelley (author of Frankenstein) moved to Boscombe. She and her family are buried there. It is reputed that that as the body of Percy Shelley was being cremated on an open pyre the author, Edward Trelawney dashed into the flames and grabbed hold of Shelley’s heart. 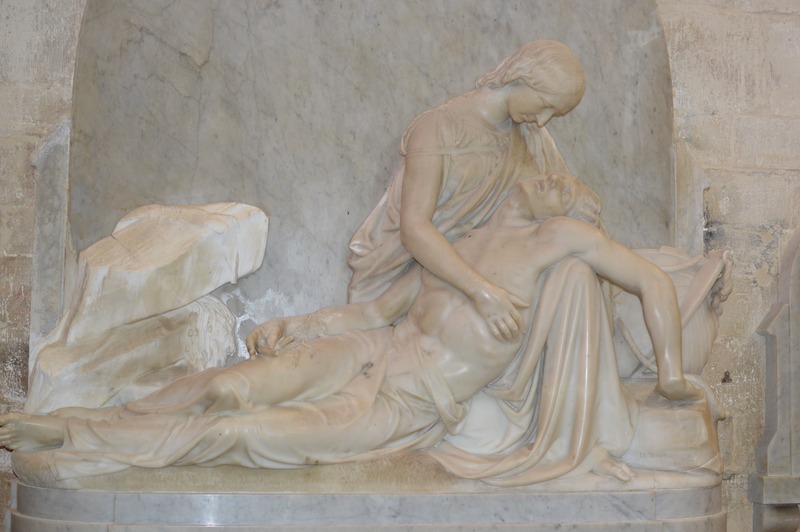 This was brought back to England and was eventually buried with Shelley’s son, Sir Percy Florence Shelley in Boscombe. Amongst the many memorials and monuments erected in Shelley’s memory is this one in Christchurch priory. 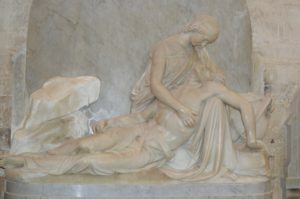 The marble memorial shows the body of Shelley having been washed ashore after his drowning. The author Neville Shute wrote a number of books which have connections to Portsmouth and Southampton. He was stationed at Exbury House during the Second World War. 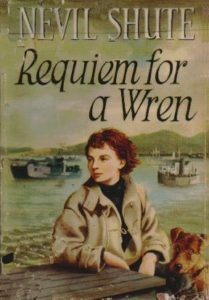 His novel Requiem for a Wren is set in and around the New Forest area between Exbury and Lymington. It tells a vivid wartime story of a Royal Navy Wren falling in love with an RAF officer in the run up to D-Day. A crucial part of the story relates to the true incident of a German bomber being shot down over Exbury just prior to the D-Day armada sailing. The consequences of this event have a profound effect on the Wren. The poet John Heath-Stubbs lived from 1918 to 2006. 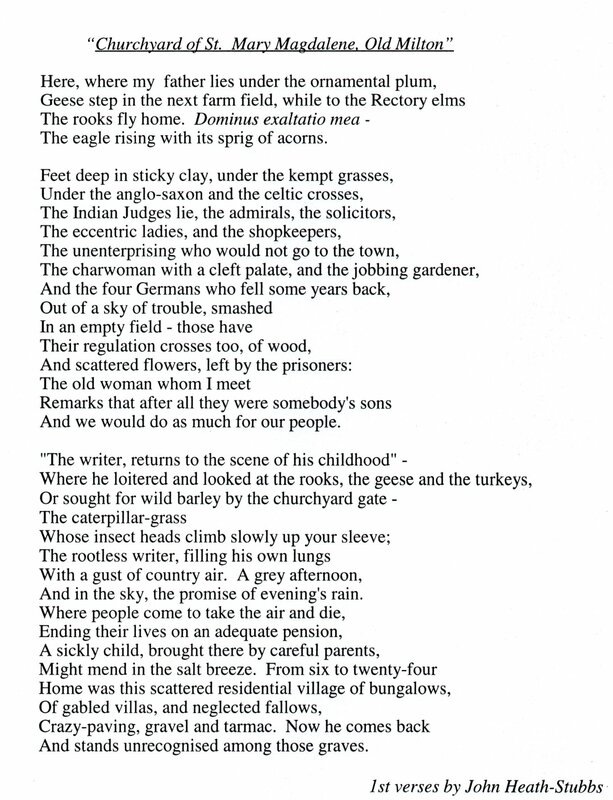 He wrote numerous poems including Churchyard of St Mary Magdalene, Old Milton. Heath-Stubbs went to a preparatory school in Manor Road, called Speedwell. His family initially rented a house in Barton Lane, but when this burnt down they moved to temporary accommodation first to the “George Inn” at Milton Green, then they shared a house whilst their own house was being built. This was “Seaward Cottage” in Seaward Avenue which they moved into in the early 1920’s and was their home until the Second World War. He later went to Oxford University. 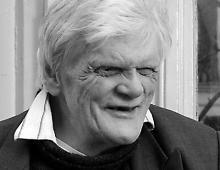 He was awarded the Queen’s medal for poetry in 1973 and an OBE in 1978. His autobiography, Hindsights, describes his early life in the area. These are just a few of the literary connections to our area. Doubtless readers will be wondering why other equally well known links have not been explored, but space restrictions make this difficult. Perhaps this could be done in another article? It is possible that in years to come we will be celebrating the works of other poets and authors currently living in our town.